I can immediately imagine all those pretty girls, models, celebs walking around NY, waiting for taxi in those clothes. Black and white still invading, but with a touch of other strong colour and denim or even army style companion to make it perfect. He's doing a great job mixing leather and lace and even floral. Fierce yet very stunning. And the blue parade -look at that blue suede shirt and skirt- on the third row steals my heart too! Wu rawks! Sixties stripe goes modern, enough said for this collection. Rodarte brings fantasy theme collection. I dare to imagine those clothes on video games or fantasy film wore by the female villain or female lead. I've grown up playing games myself so I really enjoy this collection! 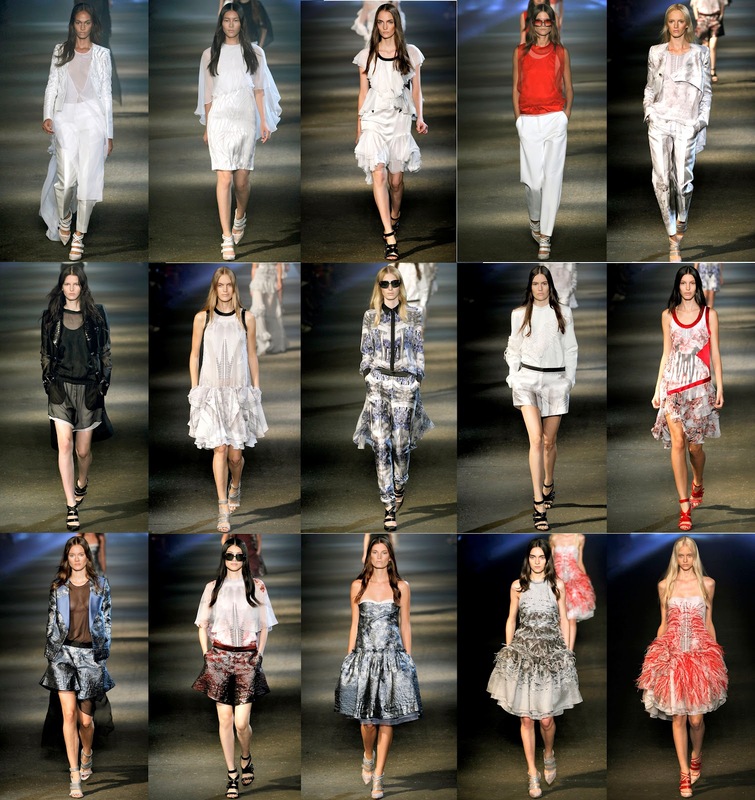 I really like Marc Jacobs line this spring! Also, I absolutely love your blog! Great catwalk pictures! Lovely blog!